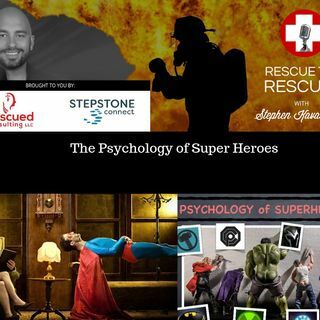 Join the leaders at this show's sponsor, Stepstone Connect, as we discuss the psychology of super heroes. Such a deep and fascinating conversation about the parallels between fictional super heoes like Iron Man and The Incredible Hulk and real life heroes such as fireman and cops. These two professionals certainly left me with a deeper understanidng of mental illness, coping mechanisms, and treatment of trauma. You don't wanna miss this one!! !